India beat hosts Malaysia 1-0 in the hard-fought fifth and last match to win the bilateral women hockey series 4-0 in Kuala Lumpur today. India won the first, second, fourth and fifth matches, while the third one ended in 4-4 draw. As many as four players from Odisha represented India in this series. They were: Deep Grace Ekka, Sunita Lakra, Rashmita Minz and Lilima Minz. Goalkeeper Savita led the team with Deep Grace Ekka as her deputy. Sunita Lakra made a comeback into the squad after missing the Spain Tour. 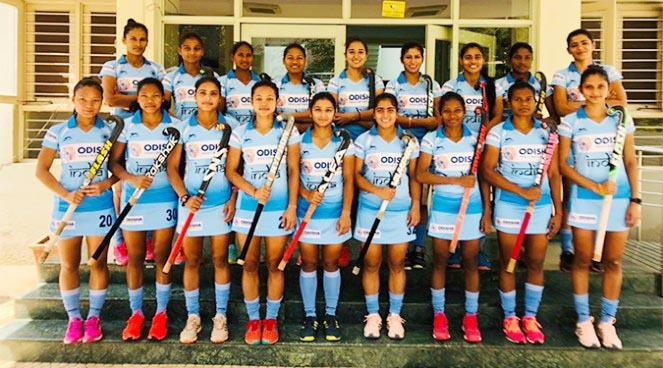 April 4: India (Vandana Katariya 17-PC, 60-FG; Lalremsiami 38-FG) beat Malaysia 3-0. April 6: India (Navjot 12-FG, 29-FG, Vandana Kataria 20-FG, Lalremsiami 54-FG, Nikki 55-FG) beat Malaysia 5-0. April 8: India (Navjot Kaur 13-FG, Navneet Kaur 23-FG, 45-FG, Lalremsiami 54-FG) drew with Malaysia (Gurdip Kirandeep 26, Nuraini Rashid 30-PC, 38-PC, Nuramirah Zulkifli 35-FG) 4-4. April 10: India (Lalremsiami 55-FG) beat Malaysia 1-0. April 11: India (Navjot Kaur 35-FG) beat Malaysia 1-0.